After seeing Elon Musk's demonstration of the Boring Company tunnel in person, Virginia transit officials scoffed at the idea and decided against using the company for planned infrastructure upgrades, the Virginia Mercury reported. Bureaucrats in Virginia instead decided in favor of using traditional railways and roads. Michael McLaughlin, Virginia’s chief of rail transportation, told members of the Commonwealth Transportation Board’s public transit subcommittee: "It's a very small tunnel. If one day it's feasible, we'll obviously come back to you." The board had been discussing major investments in the state's infrastructure, including a $1.3 billion bridge between Virginia and Washington. Questions had arisen about the infrastructure investment, with board members trying to figure out if any investments could become obsolete if Musk's Boring Company and Hyperloop ideas advanced beyond their current stages. Despite reportedly being skeptical, transit planners in Virginia couldn’t help but notice Musk's announced partnership with the city of Chicago and a proposed plan to link Washington DC and Baltimore, with promises of “autonomous electric skates traveling at 125-150 miles per hour.” It was a far cry from the Model 3 with guidewheels doing 60 mph they saw during their visit. Neither of these two projects have made any tangible progress and a Boring Company demo that Musk held earlier this year was widely mocked and ridiculed by the media and on social media. Officials from Virginia took a drive through Musk's demonstration tunnel in January and said that "nothing they saw would lead them to change their approach to transit in the near term". The article instead describes Musk's demonstration tunnel as "bumpy", echoing the LA Times, which previously called it "so uneven in places that it felt like riding on a dirt road". The article also notes that Musk's claims of saving money tunneling doesn’t include research, development, equipment and possibly even labor. Scott Kasprowicz, a Commonwealth Transportation Board member who made the trip with McLaughlin said: “I think there’s a lot of show going on here. I don’t mean to suggest that they don’t have a serious plan in mind, but I don’t consider the steps they’ve taken to date to be substantive. They’ve purchased a used boring machine. They’ve put a bore in the neighborhood where they developed the SpaceX product, and they’ve taken a Model 3 and put guidewheels on it and they’re running it through the tunnel at 60 miles per hour." "None of that, I think, is really significant from a standpoint of moving this process forward,” he continued. Kasprowicz adds to a long line of skepticism about Musk's tunneling ideas. "There's no revolution here. 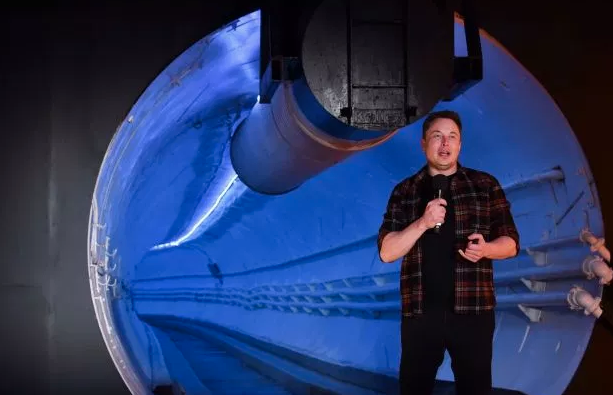 Let's be honest here: he's driving a car through a sewer pipe," Ph.D. chemist and video blogger Phil Mason said in a late December he posted to YouTube, destroying Musk's tunnel idea. We reported on his critique of the idea in a late December post here.